Having a strong enterprise brand these days requires you build that brand online—in social media, on your website in advertising, search and social networks. It requires that you not only accept the democratic nature of the web, but also learn to embrace it and utilize it as a key component of your brand and marketing strategy. But, it doesn’t mean that you should think about it as a dubious investment for which you may or may not see a return. 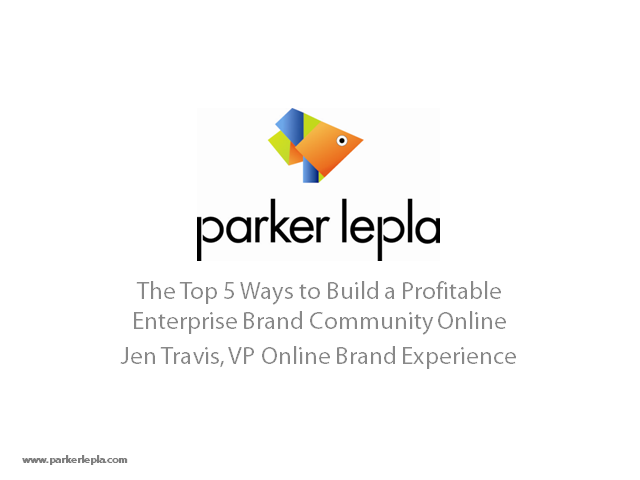 In this webinar, you will learn the top 5 ways to build a brand community online that produce a measurable return on your investment via increased website traffic, lead generation and lead capture.